Designer John Varvatos presents his new fragrance Dark Rebel in September 2015. The fragrance is inspired by the designer's return to Detroit, intended for rebellious men who think outside the conventional framework, individuals who march to the beat of their own drum and are not followers. It is advertised by the slogan "From Darkness Comes Light. "The composition is smoky, oriental - woody, with .. 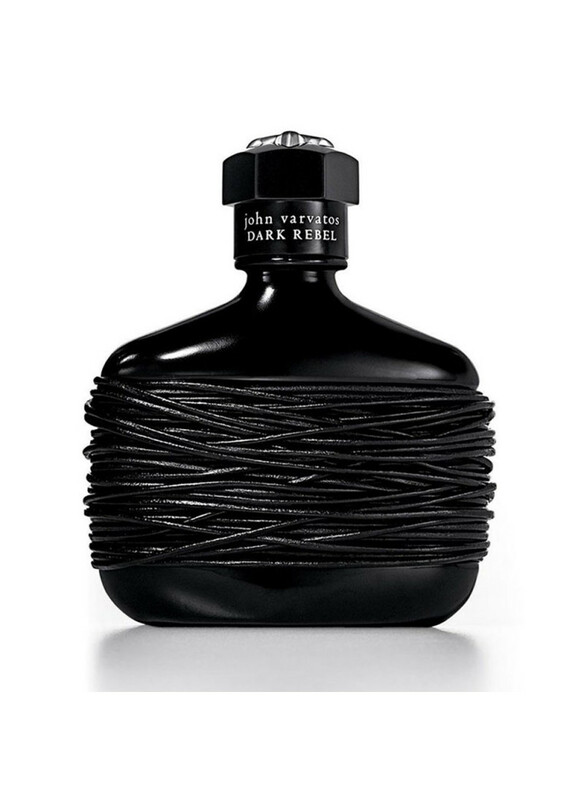 Designer John Varvatos presents his new fragrance Dark Rebel in September 2015. The fragrance is inspired by the designer's return to Detroit, intended for rebellious men who think outside the conventional framework, individuals who march to the beat of their own drum and are not followers. It is advertised by the slogan "From Darkness Comes Light." The composition is smoky, oriental - woody, with sweet tobacco mixed with sensual, resinous woods. It opens with accords of Jamaican rum, Cuban sugar cane, davana, cardamom and clary sage. The heart includes black leather, fir resin, nutmeg, pepper and styrax. Akigala wood, tobacco leaf, Mexican black vanilla, castereum, balmy wood and juniper are in the base. Sleek black bottle is tightly wrapped in leather bands, decorated with a black cap with silver Fleu de lis design. The fragrance is available as 75 and 125 ml Eau de Toilette. The nose behind this fragrance is Rodrigo Flores-Roux.